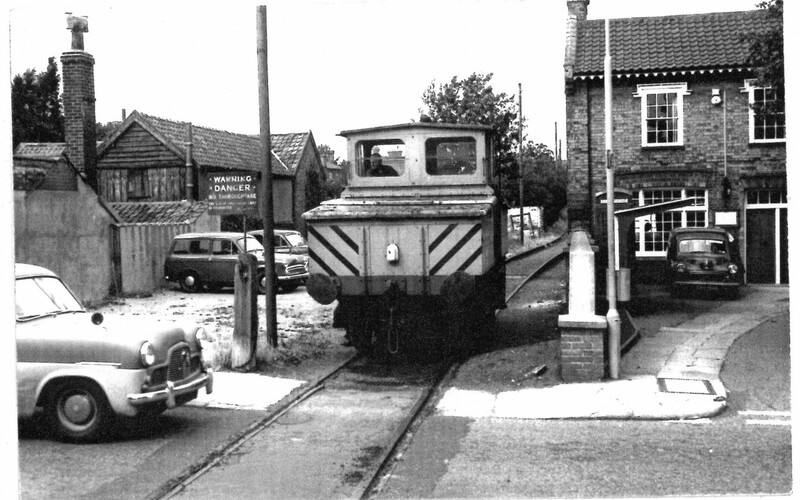 History:The Engineers Arms public house has been open in Leiston as a valuable town centre destination since the late 19th century. 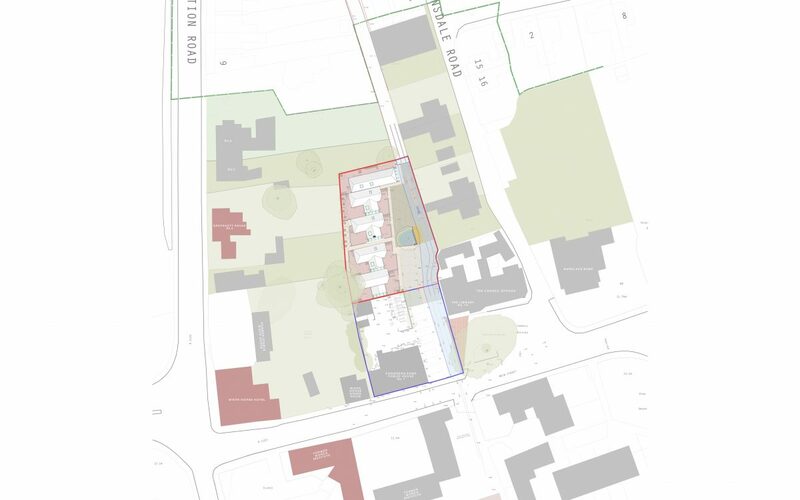 After having been closed for several years with the threat of demolition hanging over it it was purchased by Seaprop Ltd. Intended to be tied into the purchase was the handover of land for the restoration of the former Leiston Works Railway. 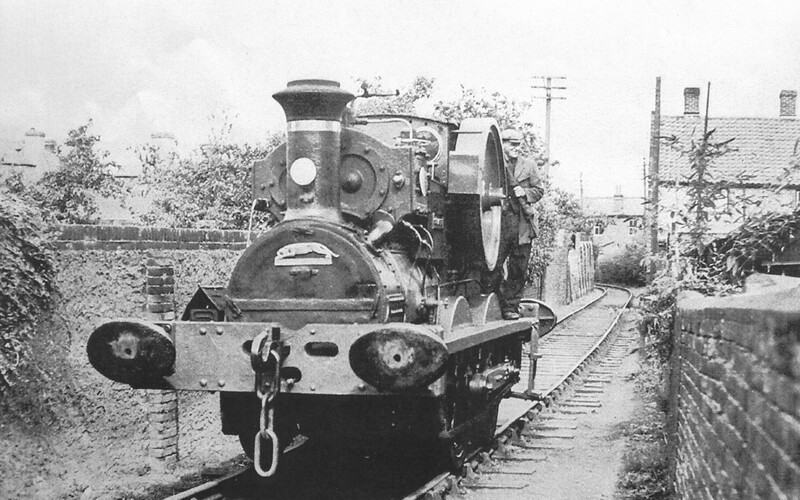 The former works railway ran from the old Garratt Works on the opposite side of Main Street straight through the Engineers Arms Site. 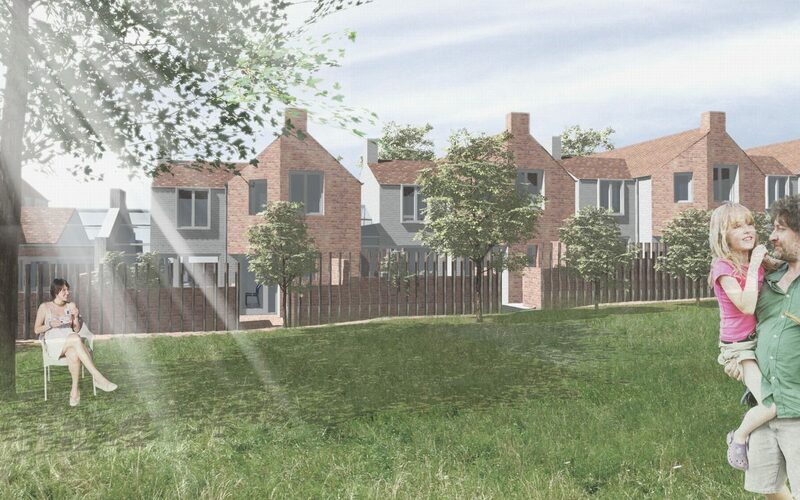 Whilst not obliged to by contract the land is being given to the restoration project free of charge and in good faith. The restoration of the railway forms a separate application to be submitted concurrently with this application. 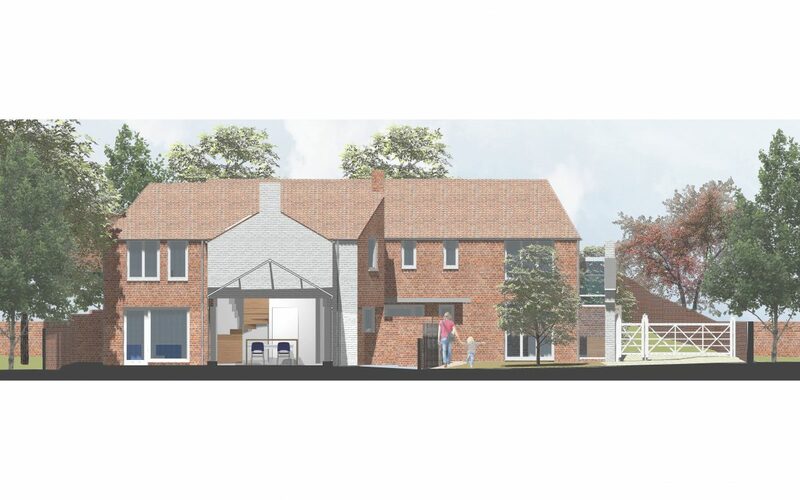 Prior to any works taking place on the site the renovation of the pub and finding a suitable new landlord were of paramount importance. The pub had been closed for a long time, to get it open and trading successfully again has been of great bene t to the town. Sustainability :Despite the small footprint and low ridge heights, walls, floors and roofs have been designed to accommodate very high thermal performance in excess of the current standards, minimizing energy requirements therefore mitigating the effects of climate change. 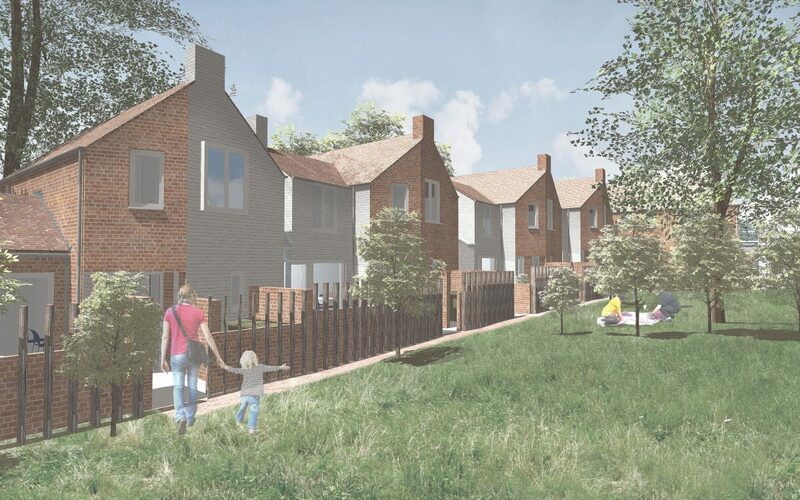 Due to the town centre location the proposed housing relates well to existing employment services, transport and infrastructure. Materials are to be sourced locally where possibly. 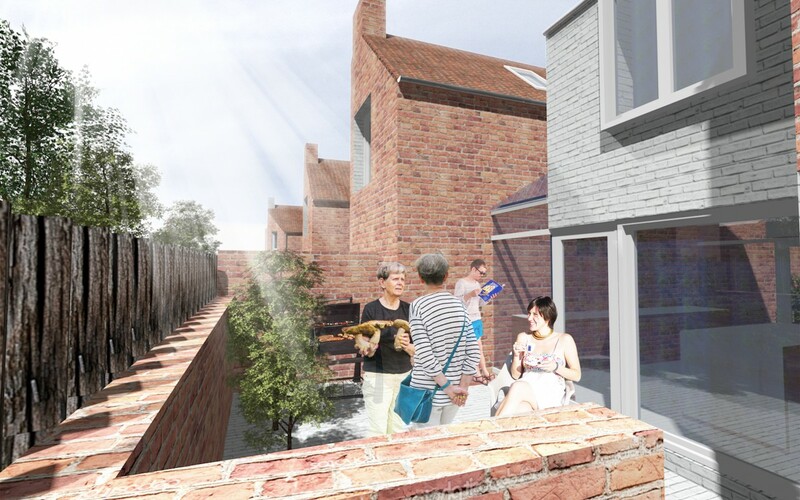 Permeable materials will be used for landscaping reducing any impact on local drainage provision. 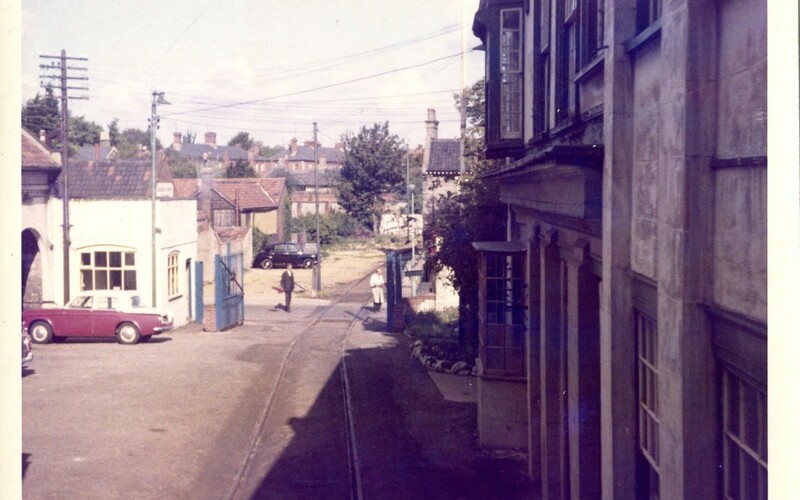 The regeneration of a local attraction (the railway) together with bringing more population into the centre of Leiston contributes to its future as a local population centre. 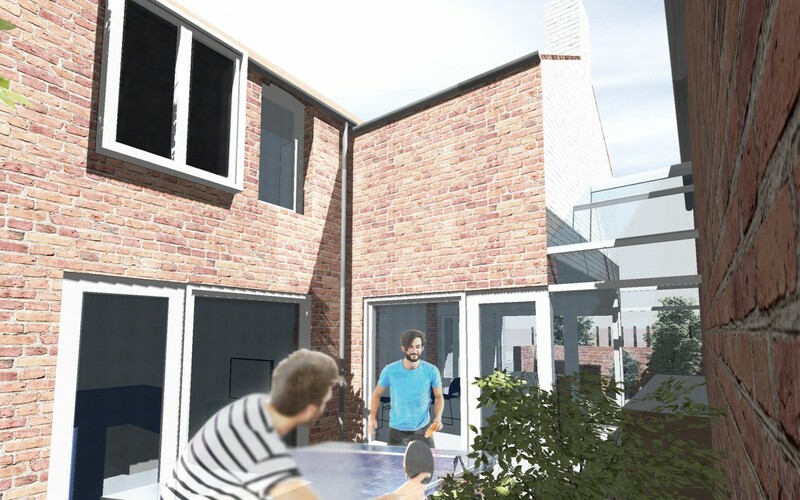 The sense of place will be enhanced by making the location an attraction as well as pleasant community in which to live. 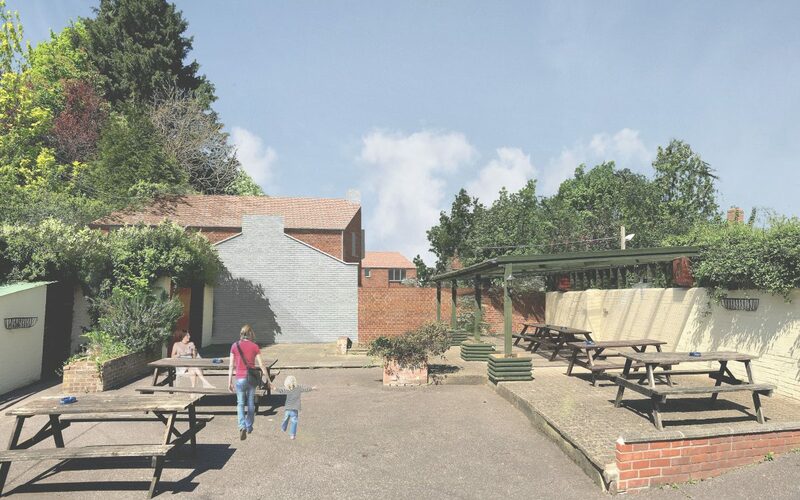 The proposal is for the development of the existing under-used pub garden and former paddock at the Engineers Arms into a small courtyard housing development of 6 new homes. 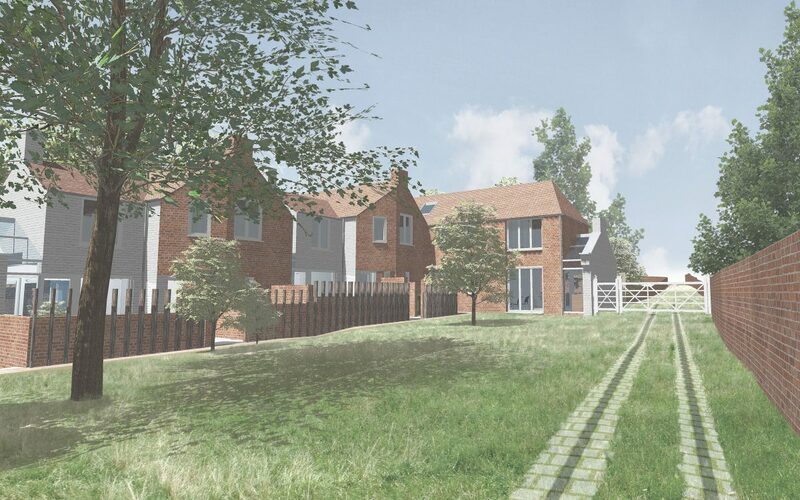 This is in conjunction with the tandem proposal for the restoration of the former Leiston Works Railways which runs through the proposal site. 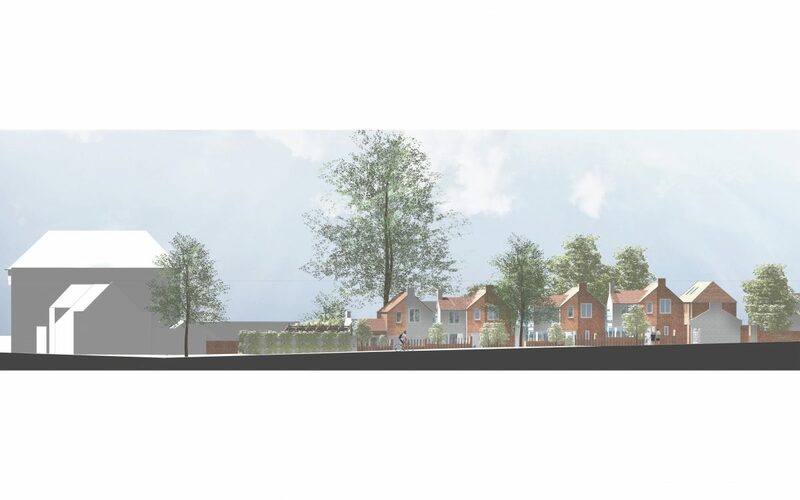 The proposals include landscaping, car parking and new access arrangements. 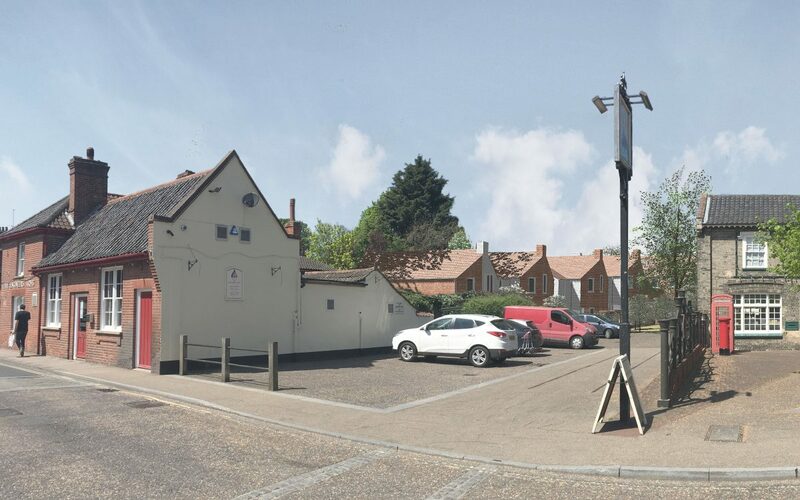 The site is within the heart of the historic centre of Leiston which also forms a conservation area.The site address is the Engineers Arms Pubic House on Main Street in Leiston Town Centre. 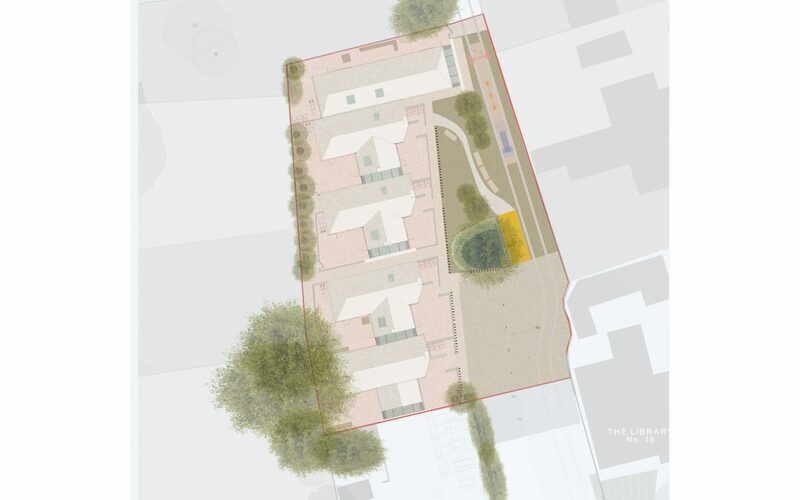 The application site comprises part of the extensive beer garden at the rear of the property.